Nasa's InSight mission: Mars sensor gets its protective 'hat' - MENA MAG – MENA MAGAZINE News around the world and the Middle East and North Africa. The US space agency’s (Nasa) InSight mission has reached a new milestone in its quest to understand the interior of the Red Planet. The probe has spent the weeks since its landing in November positioning a seismometer instrument on the surface. Happy with the set-up, scientists have now instructed InSight to put a protective cover over the equipment. The dome will shield the instrument from wind disturbance and swings in temperature. It will give researchers greater confidence in the accuracy of the readings of seismic signals. 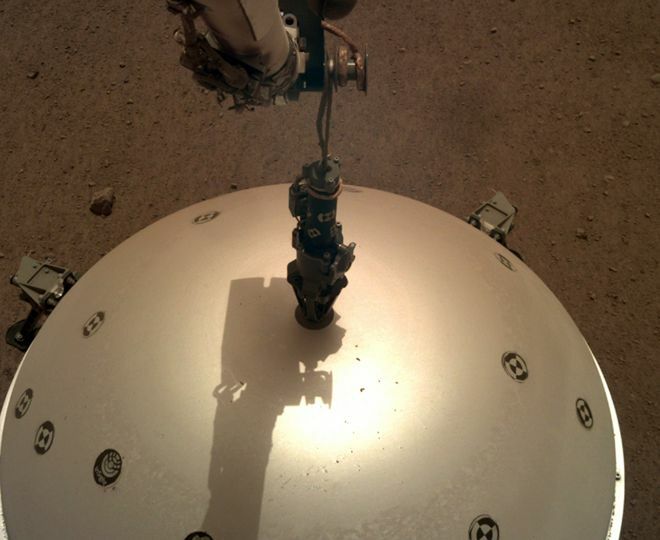 InSight expects to detect the vibrations from “Marsquakes” and meteorite impacts. The data will be used to build a picture of the rock layers inside the Red Planet – from its core to its crust. The instrument – known as the Seismic Experiment for Interior Structure (SEIS)– is led from France, but includes a package of high-frequency sensors (SEIS-SP [Short Period]) from the UK. This British contribution was developed at Imperial College London, Oxford University and RAL Space. With the seismometer system in position, Nasa controllers will now work on deploying InSight’s heat flow probe. This German-led experiment, called the Heat Flow and Physical Properties Package (HP3), will be making complementary measurements to the seismometer. HP3 incorporates a “mole” to drill down up to 5m below the surface. Its inbuilt sensors will help determine how heat moves through the ground. It is information that will give scientists an idea of how active Mars still is. HP3 is likely to be placed on the surface by InSight’s robot arm next week. A third experiment on InSight uses the lander’s radio transmissions to very precisely determine how the planet is wobbling on its axis. 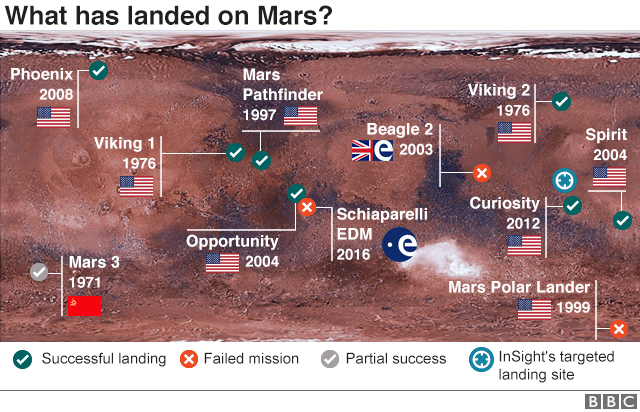 The Nasa mission landed on Mars on 26 November. Touchdown occurred on flat terrain close to the equator in a region referred to as Elysium Planitia. 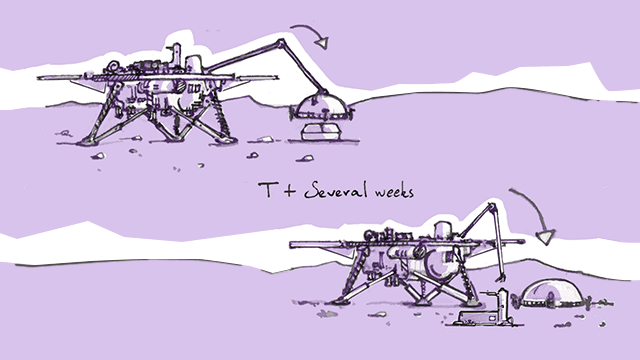 The mission’s experiments will run initially for one Martian year (roughly two Earth years).